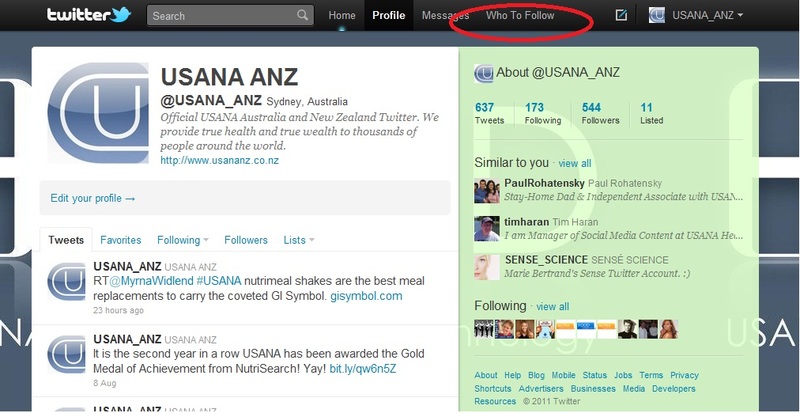 Here at USANA ANZ, we love Twitter, and more and more USANA Associates are joining us. With 140 characters per tweet, it gives Associates a short and sweet medium to keep their team members and customers updated, share links to the latest health research, promote their websites and blogs and communicate with their audience. Getting started on Twitter is easy. Simply go to http://twitter.com and sign up for a new account. Think carefully about your username, as you can't change it once you've signed up. You can't use USANA or other trademarked words as part of your name, but your own name or the name of your website would work perfectly. 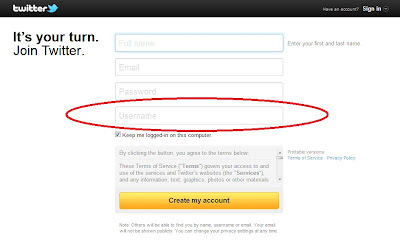 Follow the steps to complete your new account. Upload a picture of yourself. Fill in your profile. The best way to use 160 characters in your profile is to give a link to your website or to your Facebook page and tell people what you can do for them. Try to use health and/or wealth-focused words – this will help people interested in health and/or wealth topics find you. Upload a background picture. Remember, you can't use social media to advertise USANA products*, so choose a picture that emphasises fun and good health – maybe some healthy foods or a picture of you working out. Now you are ready to start tweeting! First, find people to follow. Most people will follow you if you follow them, so one of the easiest ways to gain followers on twitter is to follow a few people yourself. 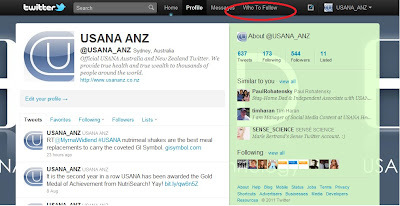 You can follow USANA, such as USANAinc. and USANA_ANZ, as well as your favourite health and fitness bloggers, celebrity chefs, friends, acquaintances, gym junkies, and anyone on twitter who might be interested in your USANA products and business. Once you have done the first step, you may refer to the ‘Twitter accounts suggestion’ by hitting the ‘Who To Follow’ button (refer to the image below) – the system will pick the people you might be interested to follow based on who you follow and more. Now that you're following a few people, you can write your first tweet. You can tweet about anything, as long as you use less than 140 characters. You can ask questions, talk about your day, post links and pictures (use a link-shortener like bit.ly and Tiny URL), re-tweet things that others have posted, send replies, and answer hashtags. We will talk about these actions in details in the upcoming social media blog. If someone says something you'd like to reply to, use their name with the @ symbol in front (@username) and type your reply. Now they can see your response in their feed and reply. You can find replies to your own tweets by clicking on the "@mentions" tab, located on your Twitter Home page. *USANA’s advertising policy only allows Gold Directors and above to use social media to advertise. And all advertising materials must be approved by USANA’s compliance department first. Download the ‘Social Media Dos’ & DON’Ts’ flyer here.